Ghassan Ben Jeddou: Good evening, Eminent Sayed Hassan Nasrallah. Thank you for being here tonight and granting us so much of your precious time. Eminent Sayed (descendant of the Prophet), we have received hundreds of thousands of questions (online) to ask you, but I will begin with a remark from Abu Nour, who told me not to forget to begin by saying 'In the name of God, Most Gracious, Most Merciful' for my 19th interview with Sayed Hassan Nasrallah, in this year 2019. In the name of God, Most Gracious, Most Merciful, and in God we rely. This is a question asked by thousands (of viewers). Why have you stayed silent since November 10, and decided to speak (only) today? Hassan Nasrallah: In the name of God, Most Gracious, Most Merciful. Obviously, this silence, or the fact that I stayed away from the media, have nothing to do with health problems, and I will return to this in a moment, because during this period, I was often asked about my health, but I confirm that everything that was said (in the Israeli media) is just lies without any basis of truth. My brain, my heart [Laughs], my body, and before that my soul and my intellectual abilities, with the grace of God, my senses, everything is fine. I do not suffer from any health problems, and I had no health concern whatsoever. Ghassan Ben Jeddou: You did not go (get treatment) in Shiraz (Iran)? Hassan Nasrallah: [Laughs] If only it were true (Shiraz is one of the most beautiful cities of Iran)! But none of this has happened. On the contrary, in a previous denial, I said to those who asked us and to those who spread these rumors that basically, I had no health problem, thank God, despite the fact that I just turned sixty. Thank God, by the Grace of God Almighty and Exalted, I suffer from no health problems at all, and all that has been said is lies. It is laughable that some writers and some sources speak not only of disease, but say I'm dead, my body has been in a cold room for several days, and the Hezbollah leadership is holding exceptional meetings, etc. Anyway, I mentioned this issue to call people to (be mindful that) we live in a time where our slogan should be "Ascertain the truth" (Cf. Qur'an, 49: 6, "If a wicked person comes to you with any news, ascertain the truth."). And I say even more than that. We should only ascertain the truth or falsehood of (credible) information. But when it comes from a compulsive liar, from a fundamentally deceitful and hateful enemy, we should be paying no attention, we shouldn't be in any way worried nor give it any kind of credence. That's what I wanted to say by way of introduction. As for the real reasons (of my silence). First, I don't like to speak too much or too often, as you know. When there is a special occasion in which I have to speak, I do. We hereby set out the principles which will remain valid in the future (in case this situation happens again). On some occasions, I have to appear and talk, such as the day of commemoration of the martyred Hezbollah leaders, on February 16, I have the obligation to speak, of course: it's part of our tradition in Hezbollah. There are special occasions when I have to talk at length. 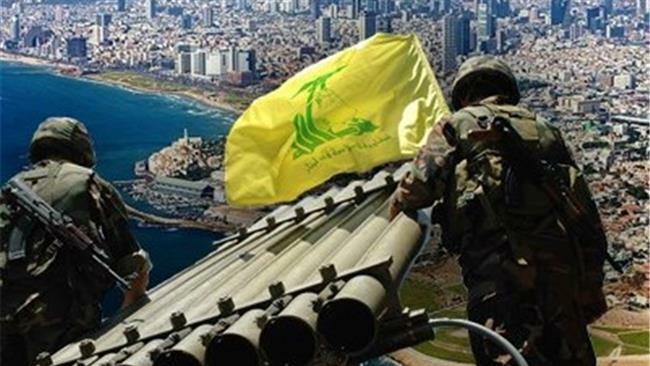 Sometimes there are events and developments that occur, and we study the question of whether I have to speak, or if another of our (Hezbollah) brothers has to do it, etc. We have no use for talking without reason. The reality is that during the months of December and January, we had no (special) occasions. It turned out that none of our key opportunities –like the Day of the Martyr, the Day of the Martyred leaders, the Day of Ashura, the Al-Quds Day, for example–, especially those of the Hijri (Islamic) calendar, fell during December or January. Therefore, there was no (special) occasion for me to speak. Second, some events occurred. The important event that took place is what is called Operation Northern Shield, about which we'll talk tonight with the grace of God. During a special press conference alongside former Chief of Staff of the armed forces (Gadi) Eizenkot, Netanyahou announced something which is more than military measures but less than a war, and he called it Operation Northern Shield. And Netanyahu has engaged in a huge media operation. The truth is that we met with the brothers (Hezbollah cadres) and we did an assessment (of the situation). We had several hypotheses of action, and it was envisaged that I speak two or three days after the announcement of Netanyahu but our discussions have led us to the following conclusion: the best is to let Netanyahu, Eizenkot and the Israelis say whatever they want until the end of the Operation. For it was clear that both Netanyahu and Eizenkot needed this huge media operation, and we'll discuss it later with the grace of God. We have chosen not to help them, and not to participate in their big media operation. We decided, me and my brothers (cadres) of Hezbollah, not to make any comment on Operation Northern Shield until it ends. Hassan Nasrallah: Yes, until yesterday, Friday, today being Saturday. Today, before coming here, I got in touch with the brothers, and I told them that yesterday, according to their report, drills were still active at the border. What about today (I asked)? They said that today, they are at rest, because it's Saturday. It didn't occur to me that they'd be on weekend, I thought the military worked (even) on Saturday. You see, Eizenkot announced the end of an operation that is not yet finished, and he did so only to be able to count it as one of his personal achievements. So we made the decision to remain silent until the end of the Operation. That's it. Hassan Nasrallah: And to tell you the truth, we also consulted with the brothers, and it seemed that the enemy wanted to force me to appear in the media, for me to speak at the timing that suits him. But I do not want to follow their timing. We choose our own timing. Second, we do not want to establish a principle that whenever a worthless website, a ridiculous author, some information or analyzes say that I am ill or deceased, I have to appear on TV to tell everyone that I'm fine and healthy, because then I would have to appear every day on TV. That is why I say to all those who love me, and also to the enemy, that we are under no obligation to do this. Will we deny (such gossip) or not? We have no established principle, and we decide our own way (depending on circumstances). This time, we decided to keep silent in order not to commit ourselves (for the next time). Because last time, we have denied (such rumors). If we had done it again this time, we would have (somehow) established a principle that whenever some news, some website, some newspaper or media says that so and so (Nasrallah) is sick and we do not deny, it'd mean that he's really sick. We do not want to go on this way. There is also another reason (for my silence). In 2018, I had agreed with you that our annual interview would take place in January, the first month (of the year). I also thought that if I had to make a speech once or twice (before our scheduled interview), our conversation might sometimes be repetitive and boring for the spectators, and I do not want to bore people. That's the whole story, with God's grace. Ghassan Ben Jeddou: Thank you very much anyway (for this attention). Hassan Nasrallah: Anyway, February arrives, and we have three occasions when I have to talk. May God the Almighty and Exalted preserve us all. Ghassan Ben Jeddou: May He grant you health and long life. But I still have a question, Eminent Sayed. In everything you have just said, it's as if you were speaking to the enemy, the Israeli enemy. But didn't you have the possibility to reassure your popular base, your masses? In the end, they too were worried. The allies, friends and those who love you were worried. Hassan Nasrallah: No, they were reassured one way or another (a picture of Nasrallah taken on January 1 was published). There have been inside contacts and inquiries to which we replied, but mere signs from some friends were sufficient to reassure. The important thing is that even our grassroots begin to understand things, and they must become stronger (against the psychological warfare of the enemy) so it can not reach us and manipulate us about this issue. Ghassan Ben Jeddou: Let us therefore evoke the "Operation Northern Shield", Eminent Sayed, and the question of the tunnels. Undoubtedly, this was a major event, or at least Israel did everything to present it as a very important development, and not only through the media. They brought the issue to the UN Security Council. And Israel said they had discovered Hezbollah tunnels, and destroyed them on the side of occupied Palestine. Netanyahu, also for his personal objectives, to which I will return in a moment, by the enormous hype he did around the Operation "Northern Shield", which in truth did not require such a fuss, also did us a great favor in psychological warfare, by bringing terror, a feeling of helplessness and panic into the heart of all settlers in the North of occupied Palestine. You must be confident, Professor Ghassan, that from the day Operation "Northern Shield" started, every time a settler in the northern colonies will hear someone use a small hammer – in Lebanon, it is called "shakouch" [Laughs] -, he'll call the Israeli Army and tell them he heard the sound of a hammer. All that is a gift from Netanyahu. Hassan Nasrallah: [Laughs] They will answer this call, with the grace of God. And the third or fourth point is that Netanyahu and Eizenkot – I'll discuss a new point, let me explain it in detail – deceived the Israeli people. When they say that Operation "Northern Shield" is over because they have discovered and destroyed or closed (all) tunnels, it is... (a blatant lie) [Laughs]. Netanyahu is not a general, but Eizenkot considers himself a general, a leading thinker on strategic issues, a visionary, and we would expect valuable expertise from him. If he is a general, well-versed in military actions, could he consider as plausible that in a vast border area – around a hundred kilometers -, if Hezbollah wants to invade Galilee, we would limit ourselves to 4 or 5 tunnels in which we'd cram thousands of fighters to bring them into Galilee and capture this territory? It's completely insane militarily speaking.